How does earth bonding effect me ? We all heard of earthing in our house to protect us. Imagine water escaping from a river how to we deal with it safely? We put in pipes to run the water safely away to ground. The earth does the same with electricity. This is why it is so important to make sure earths are in place and extra earths on the gas and water are in place. 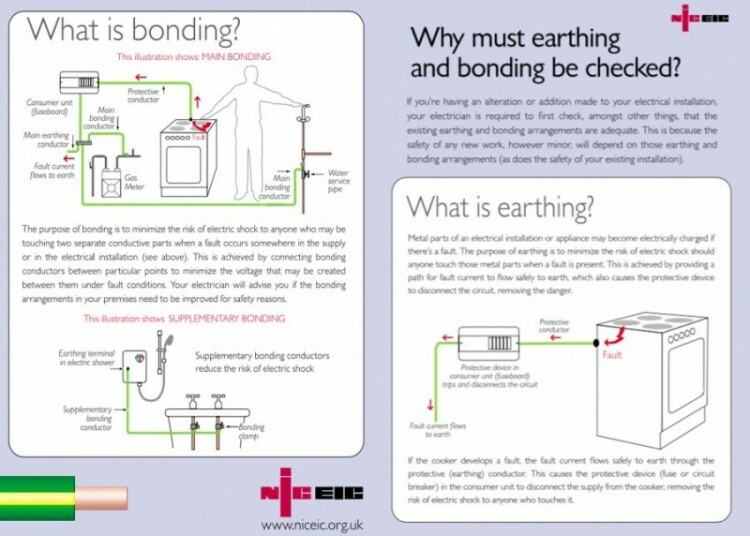 The diagram shows why earthing is important and what is earth bonding. Please see link for NICEIC . 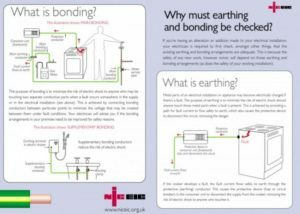 This entry was posted in Domestic and tagged earthing bonding, earthing house.